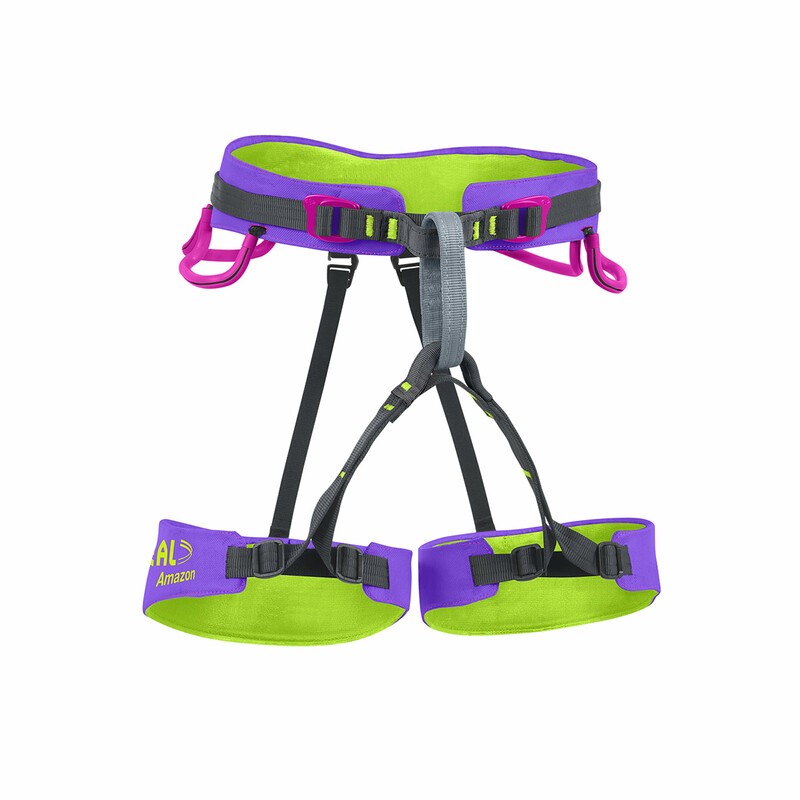 The Beal Amazon Women’s Climbing Harness is a lightweight all-round harness with an attractive price tag and exceptional comfort for all types of climbing. 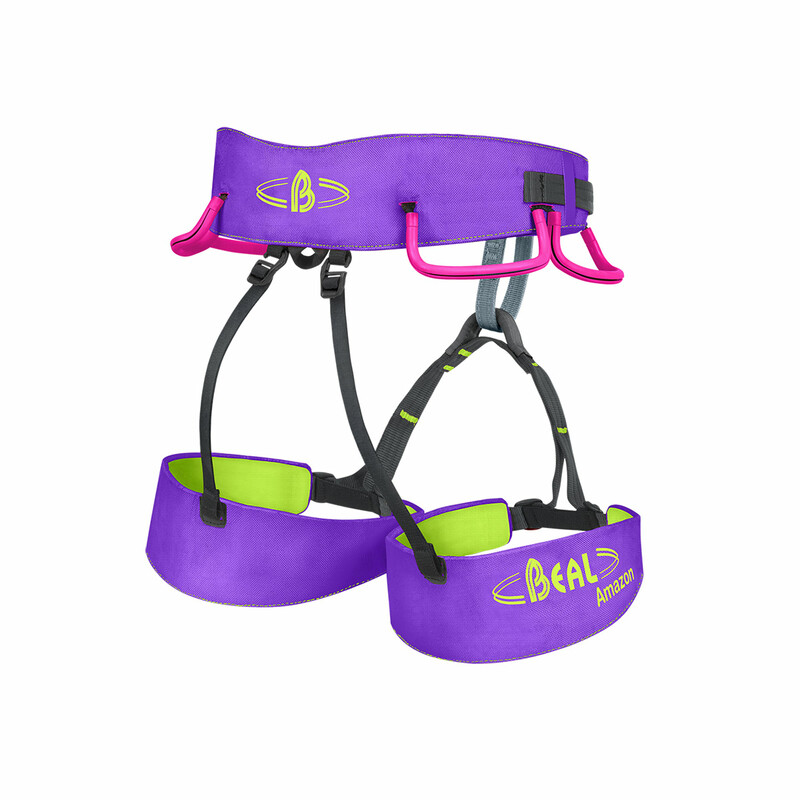 The Beal Amazon Harness features Black Diamond’s Dynamic Fit leg loop adjustment system for quick and easy adjustments, as well as a non-laminated version of Beal’s Web-Core Technology, which provides comfortable and even pressure distribution across the hips and legs. It also features ergonomically ventilated areas for extra comfort while you climb, and four gear loops for plenty of functionality. Size 1: waist 61cm - 76cm, legs 45cm - 57cm. Size 2: Waist 75cm - 90cm, legs 54cm - 66cm.